1. Jason Voorhees, yes he's my number one guy something about the hockey masked invincible killer just hits the right spot for me. The way he is not stopped by bullets, the way he can, if you lose sight of him just magically appear right behind you. If your not Tommy Jarvis you will probably end up as worm food. 2. Michael Myers, of course with Jason being my number 1 the next invincible slightly less strong stronger chef knife wielding overall wearing nutcase has to be second on my list, with a strange obsession for killing his family this guy will murder anyone who gets in his way, again if your not Laurie or Dr Loomis you probably won't see the morning. 3. 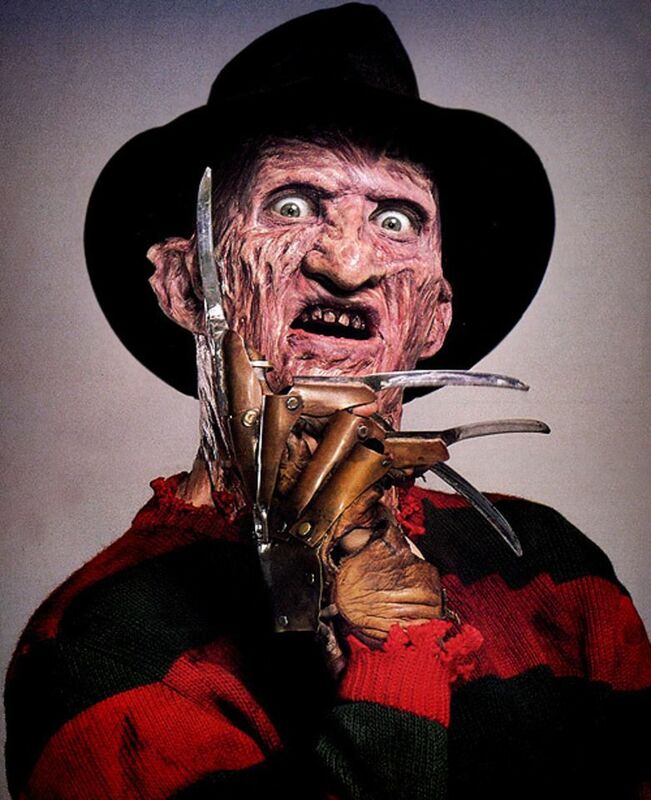 Freddy Krueger, everyone's favourite nightmare stalking knife fingered demon. A kid killer in life set ablaze by the grieving parents after he got off with their murders. He manages to return as an ethereal demon able to kill in people's dreams. A major weakness is if he's pulled into our world he's vulnerable like a normal person, or if he's forgotten about he loses his power over people's dreams. 4. Wishmaster, a djinn, a genie however you want to look at it but not the big blue friendly version this guy will want something for or twist your wishes in a way you wouldn't have wanted. I love how calm his demeanour is no matter the situation he's in. He is totally evil though no matter how smooth talking he is, don't ever trust him or make a wish as it will be your last! 5. 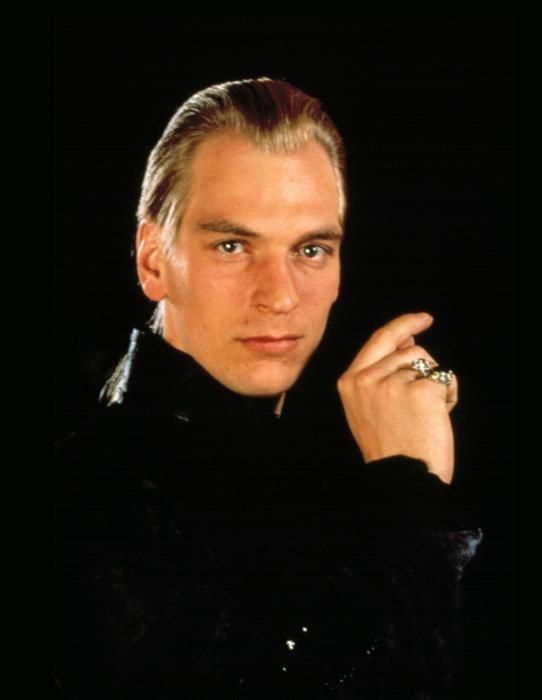 The Warlock, only three films under his name, and an actor change for the third film this bad guy really made an impact on me from an early age. A totally evil spell caster supposedly the son of the devil and on a constant mission to bring his daddy into our world. Be that through ancient texts or the use of druidic crystals, this magic user will kill people and children alike to achieve his goals. Hope you enjoyed my top five let me know what your top series killers are or if their same what you like about them, THN out!